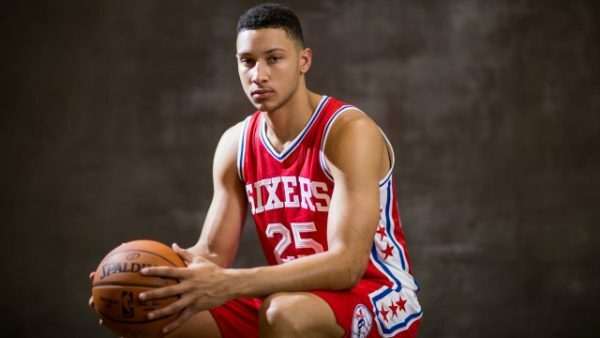 The fact that things went so smoothly for the Philadelphia 76ers with Ben Simmons up to this point is the surprise. The bone fracture in his right foot? Per their history of big men getting picked high in the draft, it’s exactly what happens every time. Simmons, the number one overall pick in the 2016 NBA draft, has a broken bone in his right foot. This means at least six weeks, closer to 8 weeks out. But that’s only if his bone heals right. These type of injuries can be a minor setback in his career, and possibly only hurt his chances of competing for rookie of the year. But this is also the same type of injury players like Bill Walton and Yao Ming had; something Brook Lopez, who might be over his injury issues (finally…). This means this could develop into something that seriously hurts his career. The Sixers aren’t new to these type of injuries when it comes to hyped newcomers. Embiid, the 3rd overall pick in the 2014 draft, still hasn’t played a single NBA minute since finishing his one-year term with Kansas. He had a broken navicular bone in his foot, and because it didn’t heal the right way, Embiid was shut down for two years. There’s plenty of hype over his workouts leading up to this season and his NBA debut, but it’s worth remembering there’s a lot of misses time for him to cover. Nerlens Noel, the hottest name on the trading block and possibly the first player the Sixers will move once they get the opportunity (maybe wait a bit now that Simmons is injured? ), also missed what should have been his first year in the league. He tore his ACL during his freshman (and only) season with Kentucky in college. He was picked sixth overall in the draft, and the Sixers decided to let him have a full season off while he recovered from knee surgery. Surprisingly, Jahlil Okafor didn’t have that problem, at least not right away. The former Duke star was the third overall pick in the 2015, and played in 53 games of his original rookie year. He did have a slight meniscus tear which shut him down with over a month to go before the end of the season. Okafor’s problems had a lot to do with off-the-court issues and minor injuries, but the Sixers didn’t need to shut him down. Power forward, Simmons’ position, isn’t that problematic for the Sixers. Dario Saric is also going to start his rookie year, and the Sixers do have the luxury of playing two starter-quality (on paper) big men. More than anything, it opens up some minutes in the rotation, and maybe allows them to play some small ball with Jerami Grant and Robert Covington. Obviously, this is a set back they wouldn’t like to happen, but assuming they don’t rush Simmons back in and his injury heals without any setbacks, this might not be the disaster it has the potential of becoming.